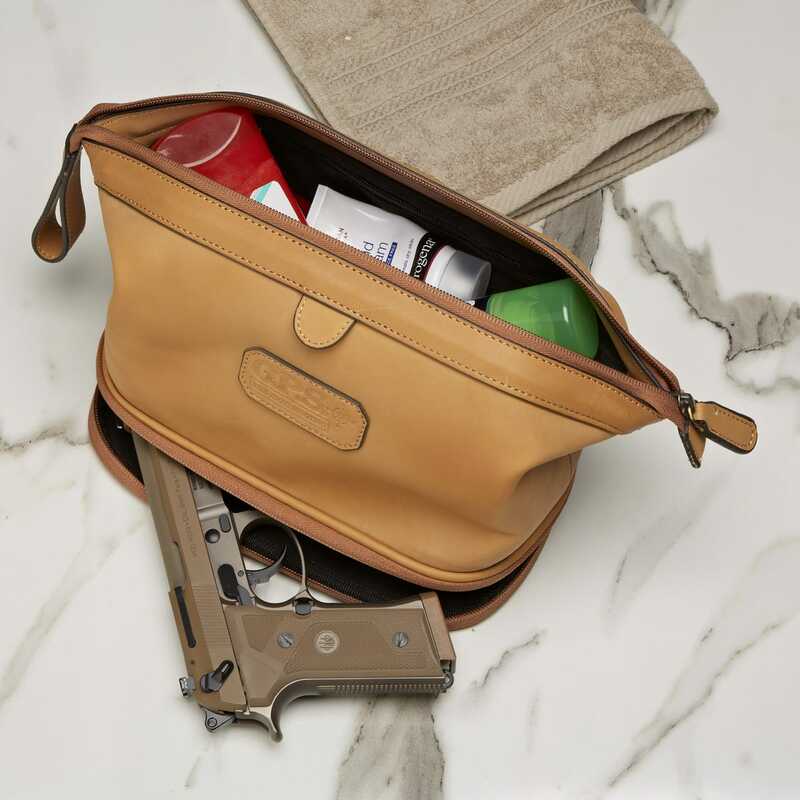 These types of handgun cases are called "deceit and discreet," but clever is probably a better word for this one. 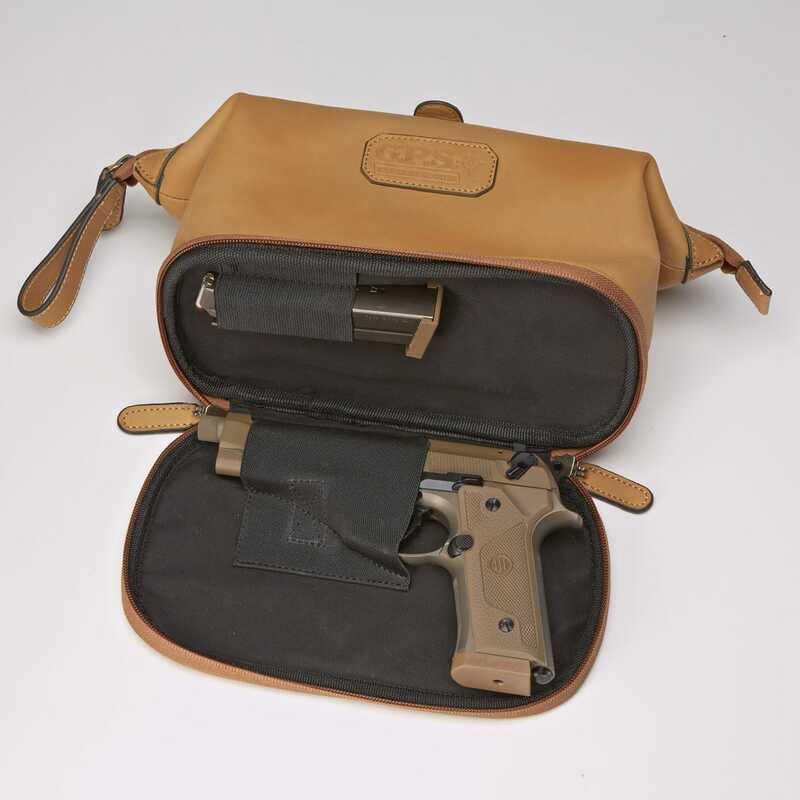 Leather travel kit looks like it holds all your shaving needs, but it stores something quite different - it's built specially for your handgun. 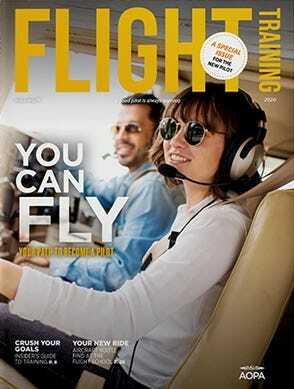 Ideal for road trips, it keeps your pistol close at hand. Sized for a medium-frame pistol and one magazine. Locking zipper closure. Measures approximately 6 inches tall by 6 inches deep—11 inches wide. This is a very clever idea. 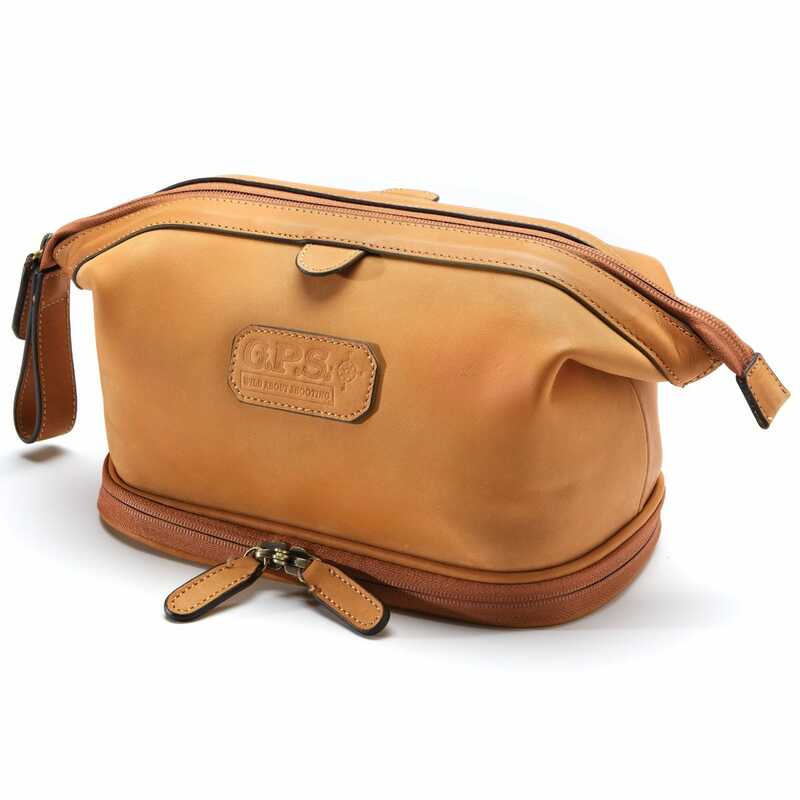 Great for any guy is on the move traveling.